Laughs, amazement, surprises… and of course, magic! Laurent’s stage abilities, as well as his experience in street performing help him to create a warm and friendly atmosphere. With this act, the audience discovers high skill magic, comedy and a bit of craziness; it is a dynamic performance that won’t soon be forgotten! 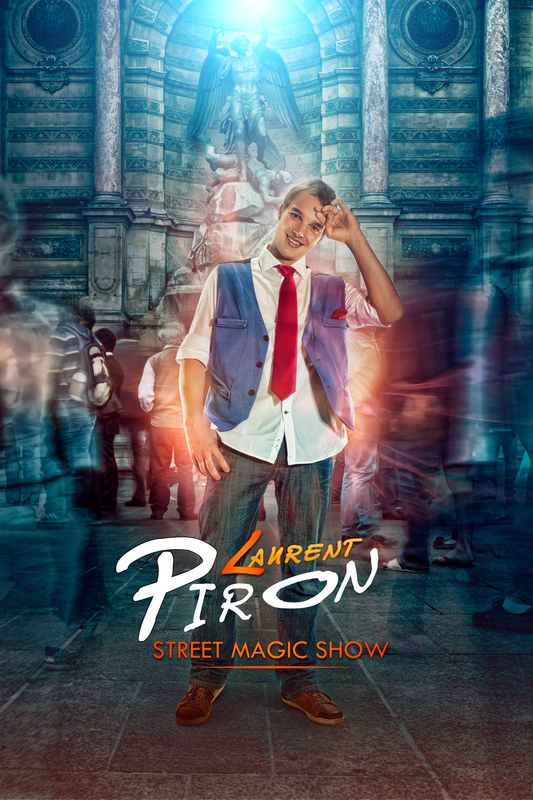 This show, originally created for street performance, is suitable for any event; indoors or outdoors, on a big stage or in the streets, Laurent’s show is true entertainment in any conditions. With over 1000 shows in 12 different countries, performed in 3 languages, and in some of the best theater festivals in the world (such as the Adelaide and Edinburgh Fringe), Laurent will amaze you wherever he goes. Make sure to have stairs from the stage to the audience. Laurent brings his own sound system and microphone. Up to 500 people. Ask Laurent for more infos.